I am going to get a lot of flack for this, but I'm just going to come out and say it: I do not like Missoni. I don't like vintage Missoni, I don't like the haute couture Missoni, I don't like the Target Missoni; I don't like any of their designs and never have. It comes down to personal taste. What my eye sees when I look at a Missoni pattern is an old 1970's afghan that someone has sewn into a dress. The colors are overwhelming (or just plain muddy), the patterns harsh, and most of their cuts unflattering. I know it is all signature, well made (may not apply to Target line), has been around for forever, but I just can't get myself to like it and I think I am one of very few people who feel this way. I am basing this assertion on the recent hubbub around the release of the Missoni for Target line. Maybe it's just that after all the advertising and promoting and build-up people are just freaking out, or maybe enough people love Missoni that they are capable of crashing the entire Target website; who's to say. The advertising industry can be very influential, as we all know. I do however, have the utmost respect for this influential and established fashion house. How many designers can you name that have not had to do any sort of reinventing or reworking of their signature looks? Missoni has basically been making the same knitwear since 1953. And having a brand ambassador like Margherita Missoni has done quite a bit to cement Missoni in the minds of a new generation. She is charming, incredibly fashionable, and has the most intoxicating voice. Margherita's voice and one of the models fainting is all I remember from that episode of America's Next Top Model, cycle 15. Oh wait, yes, now I remember the models having to wear these awful mud-brown scarves in 90 degree weather. I totally agree Cosmia! Say I found a Missoni sweater for $5 at an estate sale, I would snap it up instantly! And a Missoni couch would be most welcome in my home! I can't believe how people reacted to the Missoni line at Target. I love the designer lines at Target so I was excited to check it out but I wasn't going to wait in line on the first day. There was still a lot of stuff at my local Target but I didn't see anything I wanted. I preferred the Liberty of London collab they had a year or so ago. Catie, it's perfectly fine not to like a famous brand. I don't like Louis Vuitton monogram bags, mainly because so many people do. I've liked Missoni for awhile, but I'm into patterns. I did go to Target on the first day, but I didn't buy any apparel because I thought it was overpriced. I won't spend $40 on a polyester blouse. I bought accessories and homegoods. I hear you. Missoni is only okay to me so I didn't even bother even looking on Target's Website. 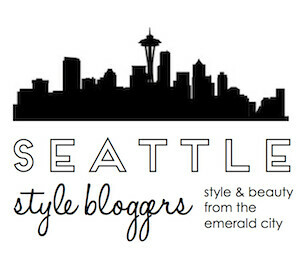 Maybe once or twice there had been a sweater that caught my eye but I'm not falling head over heals for the brand. 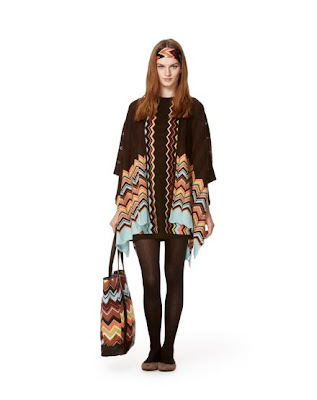 I only like the Missoni stuff that doesn't have that "missoni" pattern on it. A lot of stuff they make is actually very nice. However, the Target stuff is so EH. I liked a lot of their other go international collecctions better. I love that you did this post. I could not understand, for the life of me, the hype behind the Missoni for Target line. I do find some of what Missoni does beautiful (mostly the items without the typical pattern) and they use high quality material that will last for ages but the Target line is overpriced cheap fabrics all in colors that seem just a little off compared to the things that I usually see from Missoni. I thought that there must be something wrong with me when I didn't feel even the slightest drive to get myself over to a Target on that opening day so it is nice knowing I wasn't the only one letting "the big event" pass me by.